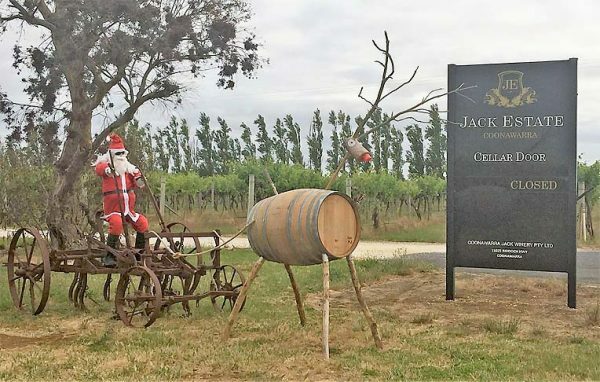 FESTIVE FUN: Jack Estate’s 2016 popular Stuffed Santa entry. CHRISTMAS treats, cars, decorated bikes, and traditional Scottish music will feature in this year’s Penola Christmas Street Party, offering an afternoon packed with activities for the family to enjoy. The event will be held on Friday, December 22, in Penola Memorial Park from 4.30pm until 8.30pm, with the Lions Club of Penola providing a free barbecue.